WHAT IT’S ABOUT: In the year 2012, a mysterious organisation called “MU” suddenly attacks Tokyo. At the time, Ayato Kamina is just a regular high school student. His father had passed away when he was young, and his mother works for the government. Ayato meets a mysterious woman named Reika Mishima and discovers the existence of the angel-winged giant robot, Rahxephon. Apparently, Rahxephon is synchronised with Ayato. Might he be the key to Japan’s salvation? THE GOOD: RahXephon is a very deeply moving anime. It feels like a lot of thought went into the creation of the characters as they have both depth and a certain humanness to them. I didn’t think I would like this anime, what with just completing Eureka 7 and Stellvia of the Universe right before watching it. I’m glad I decided to give it a try. First of all, even though this is a mecha series, it is very different from the other mecha animes I watched. Every episode made me want to know more, and when I knew more, I didn’t want it to end. What makes me love this even more is the ending, which makes complete sense. In fact, everything connects in a way that other anime don’t. THE BAD: This might purely be subjective, but I didn’t quite get the relationship between Ayato and Haruka. I mean, I get that they were in love in the past, and they fell in love again when they met in the present. But I would have loved to see more of their past relationship, before Haruka left and Ayato had his memories erased. 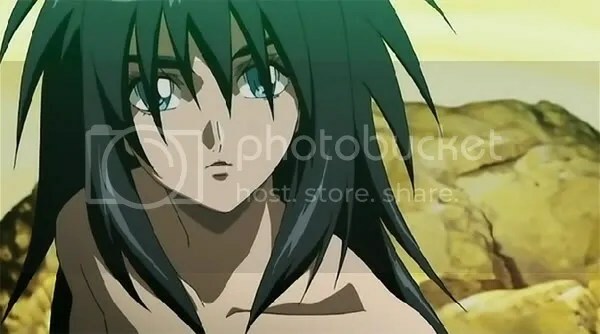 Ayato is the main character of RahXephon. 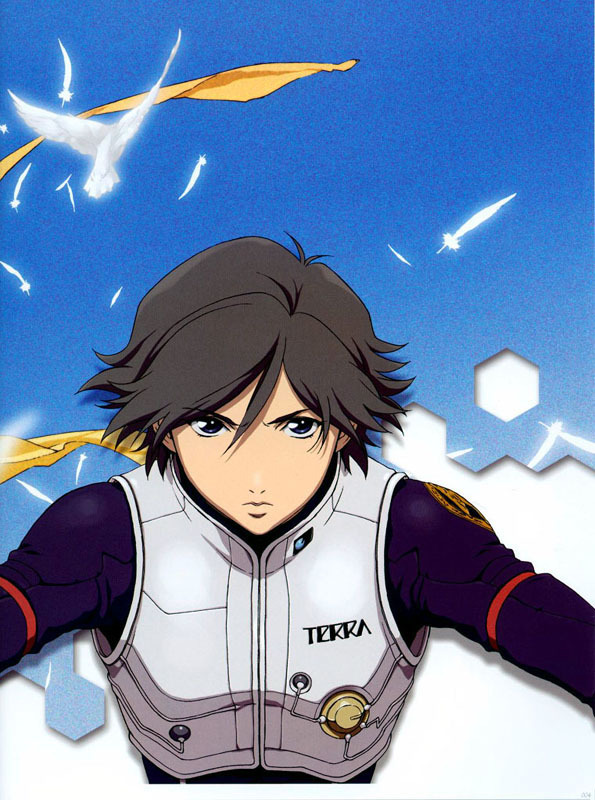 He’s the pilot of the RahXephon, the one destined to tune the world, and the one who stole Haruka’s heart. Being a half Mulian and a half Human, he is often confused as to which group he belongs to, and as such, has a deep inner struggle for what should he be fighting for, and who should he be protecting. He eventually decides to protect his friends and his loved ones, no matter what color of blood. 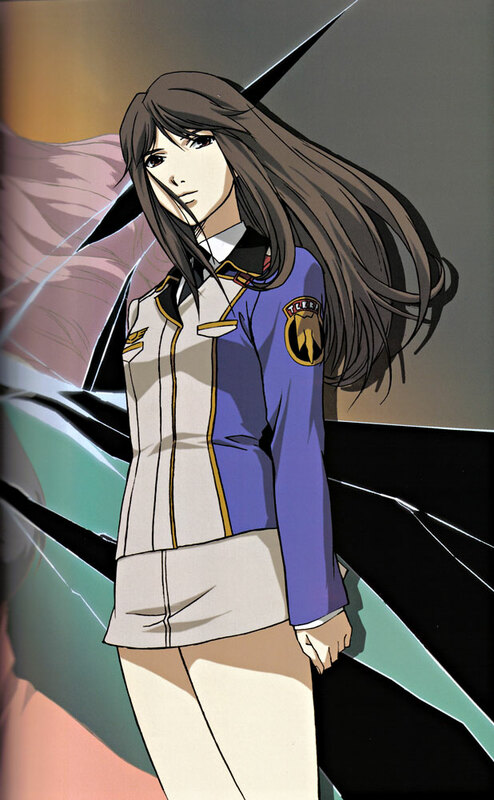 She’s a woman of many faces; Haruka is a highly respected captain at Terra, friend of the elite team leader of the Alpha Squadron (Elvy), older sister to Megumi. And more importantly, she’s the face Ixtli decides to take because it knows that she’s Ayato’s true love. Haruka is the reason why Ayato got to escape from Terra and indirectly the reason Ayato awoke as an instrumentalist. Reika Mishima is a mystery, probably the biggest mystery in the anime. We’re never given a straight answer as to who she is, but all the clues and hints are definitely in the series. 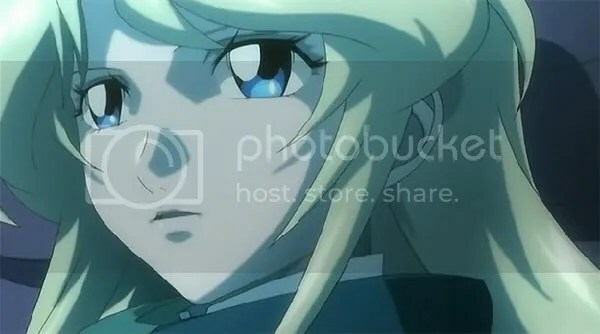 She’s directly connected to the RahXephon, and also connected to the heart of the instrumentalist (pilot). Ixtli can take any shape or form it wants, however she constricts herself to take the image of the person in which the Instrumentalist desires deep in his or her heart the most. Reika is also the protector of Ayato. Quon Kisaragi is a mysterious young girl who speaks the first words of the TV series and is shown meeting Ayato in episode 4. Her standard expression of surprise or agreement is “Ra-ra” (or “La-la”) and most of her dialogue is cryptic and musically themed. She and Ayato do not connect romantically, but she displays a level of both physical and interpersonal comfort and intimacy with Ayato that is unmatched by any of the other characters, even Haruka. She is also one of the few people who never treats Ayato as a curiosity or an annoyance, and she seems to have an understanding of his situation and what his eventual role is, calling him “Ollin”. The RahXephon is a bipedal humanoid mecha. It is several stories tall, immensely strong, and capable of unassisted flight. Its offensive capabilities include energy blades which project from its forearms, concussion energy bullets from its hands or fingertips, releasing immensely powerful shockwaves and/or energy waves with its voice and an energy bow. It can also form energy shields around its forearms, and create impenetrable spheres of energy in its hands which are used for carrying and protection. 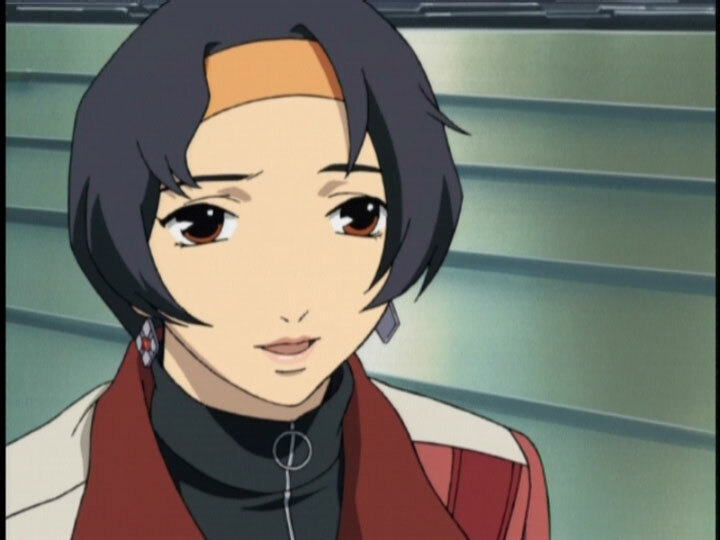 The RahXephon is connected physically, mentally, and emotionally to its instrumentalist. Its arms and head mimic Ayato’s movements. 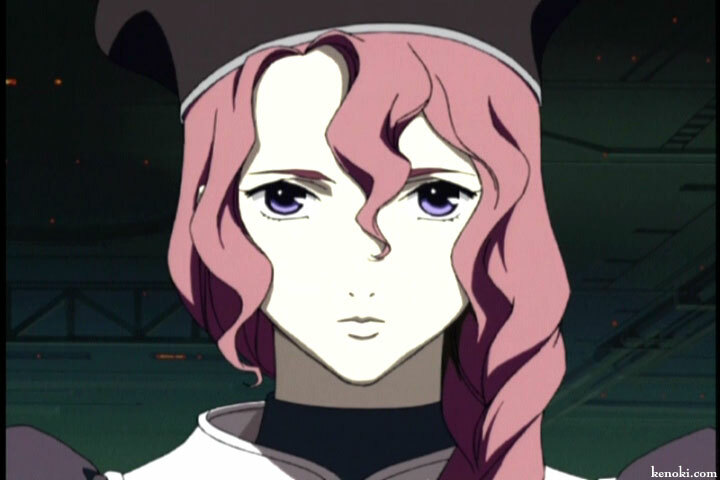 Ayato is shown to be absorbed into the RahXephon in a variety of manners, and it moves on its own to meet Ayato several times. Ayato can also trigger awakening and entering the RahXephon through voice command. Ayato appears to feel damage inflicted on the RahXephon as physical pain. During the battle with the Dolem Forzando, the RahXephon is pierced through the shoulder with a spike of debris; Ayato is shown in the cockpit holding his shoulder in the same place shortly thereafter. Character descriptions taken from http://www.kenoki.com and wikipedia. MY ADVICE: If you like mecha anime and liked Stellvia of the Universe, Eureka 7 and Heroic Age, then definitely watch RahXephon. GENRES: Mecha, Coming of Age, Romance, Drama, Comedy. THE GOOD: Definitely not what I was expecting, that’s for sure. I forayed into the genre of mecha and space animes for the first time. You should expect to see space ships and huge mechas (walking vehicles piloted by people, in case you didn’t know. For more information on mecha, go here. There’s also the whole apocalyptic world thing going on. I wonder when the world is actually going to give us what we want and cease to exist, hmm… Anyway, I think the relationships between the characters was done well. And even though the relationship between Katase Shima and Otoyama Kouta, her love interest, gets a bit too angsty for my liking, it does manage to show how important communication is in a relationship. The other relationship I liked was the one between Fujisawa Yayoi and Machida Ayaka. I have read that people think their relationship moved towards yuri territory. Maybe you’ll agree with them when you watch it, but personally I just see a very realistic portrayal of girls’ relationship: friendship, jealousy, ambitiousness , malice and then forgiveness. Bottom line,I really liked watching it. I had chills up and down my back in some scenes. Mostly because I really like protagonists who are very talented and show off their prowess in times of great difficulties. Take Echizen Ryoma from Prince of Tennis, for example. I also liked the fact that the plot focused on other characters other than the main character as that can get tedious very fast. A lot of the other characters were also very instrumental in saving the world so it didn’t just get stuck on one person to become the “hero”. I liked that “us” mentality. The main character who applied to Stellvia because she wanted to “see the stars while looking forward”. Shima is extremely diligent but is a bit of natural genius. One constant trait of hers throughout the series is her fluctuations between confidence and depression, even with her relationship with Kouta. Shima is a bit quiet and introverted most of the time, but very assertive as to what she wants when she’s confident. I didn’t particularly like her character in the 2nd part of the anime. However, she does make up for it in the last few scenes. Kouta is one of those mysterious characters. All I found out about him IShe had an older sister, his parents are dead, he consistently has a Grade C in every subject regardless of how easy or hard it is. Nevertheless, I really liked Kouta because I feel so sorry for him when it comes to his relationship with Shima. He’s always the one left confused after one of her “confidence episodes” as I call them. He is also very clueless when it comes to women as evidenced by his calls to his sister for advice. For more information on the characters, click here. MY ADVICE: You should watch this anime at least once and decide whether or not my rating for it is deserved. While you’re at it, find out what you think about the to-die-for opening theme. Especially when they slow down the song and use it for the sad and tragic parts. I think the main reason I like this anime so much regardless of its few glitches is the theme song. If you weren’t paying enough attention to the song at the beginning, listen to it here and see what you think. Stellvia of the Universe Picture Gallery.